This old, worn rug cleaned very well. 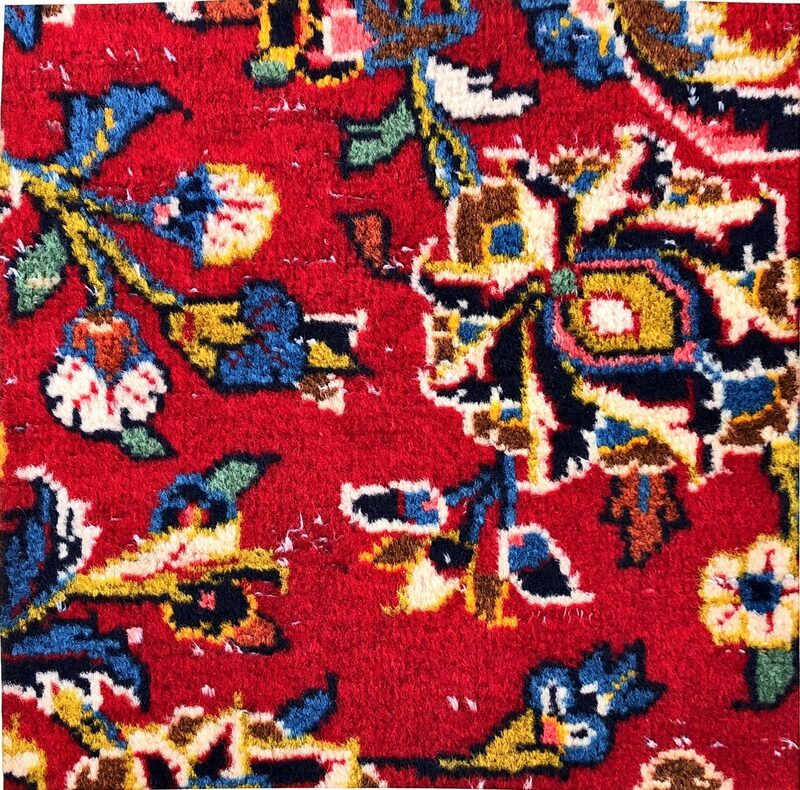 The cleaning allowed the beautiful yarn colors and design to show again; but it also allowed the worn areas to show the cotton foundation of the rug. In the pictures, you can see the wear areas; Adding Color to a Wear Area corrected the dye colors for the exposed foundation; so you just see the beautiful design again. To contact Cristomar, you can use the “Contact Us” Tab and scroll down to “Drop Us a Note”; or call: 770-753-4242. We look forward to hearing from you so we can discuss our repair or cleaning process and the professional care of your antique, oriental or area rugs.